James George Flindell was born at Edgbaston, Warwickshire, England on December 2nd 1834. He was the first child of Francis Bassett Shenstone (FBS) and Joanna Elizabeth Flindell. James was baptised at St Martin’s Anglican Church, Birmingham on December 29th 1834 and was probably named after his maternal grandfather, James Northam. James and his brother Richard Brunton were apprenticed to their father in his printing business in Birmingham, thus becoming the third generation in that trade. By 1851 the family had moved to Wembdon near Bridgewater in Somerset. FBS either bought, or became a partner in, the Bridgewater Times newspaper. Although not confirmed, James and his brother probably continued to work with their father as printers. This is a particularly steady man, strong and powerful, and exactly suited for the situation Assistant Warder. James was appointed to the Western Australian Convict Establishment on 24 August 1857. The Flindell family sailed from Plymouth on September 23rd 1857 in the “Nile”, carrying 268 prisoners and 40 warders and free passengers bound for the Swan River Colony. The Nile’s manifest lists FBS as a warder and James as an assistant warder. They arrived at Fremantle on January 1st 1858. The warders’ duties carried on for a period after arrival in the Colony. A letter to his Aunty Mary, wife of John Brunton Flindell, six months after arriving in the Colony, gives an insight into the voyage out and his work with a convict road gang. The transcribed version of this letter is below and makes interesting reading. On January 1st 1859 the Superintendent of the Convict Establishment recommended that James be paid a small gratuity for saving settlers’ properties from a bush fire. James also claimed compensation for clothing ruined fighting the fires. As may be anticipated, James had his lesser moments. On February 27th of the same year he left a convict work party in the charge of a convict constable and rode off to obtain sugar. He was found guilty of neglect, which led him to resign on March 12th 1859. It seems that soon after; he took up a position at the stores of Barnet & Liddelow where his talents were appreciated. The 1861 Almanac lists his involvement as secretary of the City of Perth (4702) Manchester Unity Independent Order of Oddfellows. Marion (I) (1866) – born in Perth and survived one day. Maud (1867 – 1942) – born in Perth, baptised November 17th 1867. Maud, who did not marry, died in West Perth on May 9th 1942. Marion (II) (1869) – born in Perth, baptised April 4th 1869 and died April 21st 1869. Emma Louise (1870) – born in Newcastle and died on December 4th 1870 age 4 months. George Shenstone (1872 – 1943) – born Newcastle. He died in Bunbury on September 18th 1943. Francis George (1875-1876) – born in Newcastle 1875 and died March 9th 1876 in Perth. That only two of their six children survived to adulthood was not uncommon at the time. By 1870 James had removed his family to Newcastle where Emma Louise, George Shenstone and Francis George were born. The Bicentennial Dictionary of Western Australia mentions two hotels associated with James. Rica Erickson, in her book “Old Toodyay and Newcastle”, mentions that James became the licensee of the Newcastle Hotel in 1870 and that James leased the Newcastle Hotel over the period 1870 to 1872 (presumably from its owner Joseph Taylor Monger). Rica also mentions that James transferred to the Freemason’s Hotel, built in 1861 under the name Newcastle Hotel and that he became the licensee of the Freemason’s Hotel for the period 1874-1887. The Statewide Survey of Hotels clarifies the story. The survey records that the Newcastle Hotel was built by W.P. Tregenning which he licensed in 1861 and later sold to Thomas Mead. Confusion probably arose because J.T Monger built a hotel and stream mill nearby which was licensed in 1863 also as the Newcastle Hotel. Mead’s hotel was a superior building and he sought to differentiate the properties by renaming his hotel the Freemasons Tavern and Newcastle Hotel. Gradually it became known as the Freemasons. This explains why family lore had it that James had two hotels in Toodyay – the Newcastle and the Freemasons. During James’ tenure as licensee, the Freemasons was the venue for a number of organisations, including the Toodyay Road Board which met on the first Saturday of each month to coincide with market day. James transferred his interest in the hotel to Michael Ryan on March 17th 1875, probably to fund his East-West Telegraph contract. The 1873 and 1874 Almanacs confirm he was in Newcastle. James was the first two auditors appointed at the first meeting of the Toodyay Road Board on February 18th 1871. According to the minutes, this meeting was held at ‘Flindell’s Hotel’. The practice then was to refer to hotels by their owner’s or licensee’s name. James’ election to the Road Board is noted in the minutes of December 27th 1873. It was normal to hold office for at least 2 years, starting the following year (1874); however, the minutes of March 20th 1875 record James tendered his resignation, because he was leaving the district. James was also a member of the Mechanics Institute and the Reading Club and a vestryman of the Anglican Church. James was cast in the mould of his father, Francis Bassett Shenstone Flindell who was committed to community service and was for a time a member of the Guildford Municipal Council, including as Chairman (1878). FBS was also a staunch promoter of the agricultural society and Fremantle to Guildford and eastern districts railway. James would have known of the value of timber in the region and the profits that contractors made on the Newcastle to Geraldton telegraph line. With entrepreneurial flair James tendered for the erection of poles for the Albany to Eucla telegraph line. As noted above, his successful tender led him to resign from the Road Board in 1875 and sell up his hotel interest. The community spin off was that locals were recruited to cut timber for the construction and to join the construction team. While the Eastern Colonies had been connected by telegraph to London, through Adelaide and Darwin, the Swan River Colony was isolated other than by sailing ships or a long and arduous cross country journey. A cable from London to Adelaide was almost instantaneous, but it could take up to a month to reach Perth by ship. The Western Australian government therefore placed a high priority on the Perth to Adelaide telegraph. The first pole was erected in Albany by Governor Frederick Weld at a special ceremony on January 1st 1875 just prior to his return to England. Coincidentally this was exactly 17 years after the Flindell family arrived in the Colony. “The construction of the line ……..posed many problems for Superintendent, J.C. Fleming, and for the contractors, J.G. Flindell and J. Elsegood. No preliminary survey was made, the surveyors merely reconnoitring a few miles ahead of the working parties. 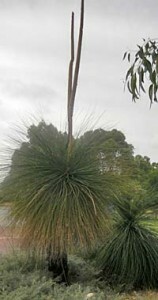 The squared fourteen-foot jarrah poles – sixteen per mile – were usually rafted ashore through surf from ships anchored in convenient bays, and numbers of repeater stations had to be built in very isolated localities”. The logistics of this project were enormous, and would be today. It was not only the “hardware” for the line, but providing provisions for a large team of men and animals in such an remote and desolate area required foresight, planning and just plain “guts” not the least because the contractors were risking their savings and families’ welfare. James and his team cleared the route and erected 18300 poles, each one cut manually 100mm square. John Joseph Elsegood followed behind with his team installing insulators and stringing the wire to carry the telegraph signal. In addition to James providing poles, Elsegood had to pay for the shipping of telegraph wire and insulators from England. He was also responsible for erection of pre-fabricated repeater station buildings. Captain W.M. Miles was contracted to ship materials and supplies. Landing was hazardous due to the steep cliffs and rough seas of the Great Australian Bight. The East-West Telegraph Line reached Eucla on December 8th 1877. The South Australian Government built their section of the line to Eucla and on December 9th 1877 Perth was connected for the first time to Adelaide and hence to London. The Pier Hotel in Cliff Street, Fremantle was built about 1855. George Thompson, brother-in-law of James, bought the hotel in 1876 and sold it to James six years later. The 1882 Almanac records J.G. Flindell as a licensed victualler in Fremantle. James remained the licensee until his death on July 10th 1892 at which time the licence transferred to his wife Marian. By 1900 the Pier was in the name of the Flindell Estate with his son George Shenstone Flindell as the occupier. In 1904 ownership transferred to their daughter Maud Flindell and the Port Brewing Company and then in 1905 to the Port Brewing Company as the sole owner. By 1893 Marian was living in Stirling Street, Fremantle and from 1894 until her death on September 13th 1896 she resided in Cantonment Street Fremantle. James and Marian were probably buried at Skinner Street Cemetery, Fremantle. This no longer exists and is the site of the John Curtin High School. The Pier Hotel played an important family role. With the death of Louisa Watson (nee Flindell) in 1867 her daughters Joanna Francis and Ellen Louise were cared for by the grandparents. However, when their grandmother Joanna died in 1870, FBS could not cope and his daughter Mary Thompson took the girls in and raised them. James later cared for FBS, who had been ailing for some time, and he spent his last days lovingly cared for at the Pier Hotel, comforted by his family and friends. It was at the Pier Hotel that Francis Bassett Shenstone Flindell passed away peacefully at 11am, November 25th 1886. Today all that remains is the front façade on the south west corner of Cliff and High Street, Fremantle behind which is a car park. By way of an aside – Jessie Flindell (nee Ulrich) was the granddaughter Jessie Young who in turn was the daughter of Frederick Sherwood. The Sherwood family brewed the first beer labelled with a Swan on their property at the bottom of what is now Sherwood Court, Perth. My father, Alan Flindell, once pointed out that with a brewer and publican as ancestors all that we inherited was the taste. He was right of course. It is with regret that we have to record the death, which took place on Saturday, of Mr. J.G. Flindell, lately licensee and proprietor of the Pier Hotel, Fremantle, and for many years one of the most active of early colonists of West Australia. The deceased who was in his 58th year at the time of his demise, came to the colony with his father, from Birmingham 33 years ago. Mr Flindell was at an early stage of his career in this colony, employed by Mr. Barnet, then a merchant of Perth, and afterwards occupied the position of manager to Mr. John Liddelow. When the construction of the Eucla line of telegraph was undertaken about 1874, the whole of the contract for the erection of poles was entrusted to Mr. Flindell and he relinquished his business as a hotel keeper at Newcastle to devote himself to this work, which he completed in spite of very great difficulties, and with thorough satisfaction. After this Mr. Flindell purchased the Pier Hotel from Mr Geo. Thompson, and has carried on the business there ever since. Mr. Flindell was of a charitable disposition, and always when opportunity presented itself did acts of kindness. He took deep interest in public questions, especially municipal matters. The funeral took place yesterday, and was very largely attended, among the mourners being members of the Masonic Fraternity, to which, in his lifetime, the deceased belonged. The pall bearers were: Messrs James Lilly, Captain H. Woods, J. McLowry, James Back, M. Price and J.T. Shaw. The funeral was conducted by the Ven. Archdeacon Watkins. James George Flindell packed a lot into his life before he passed away. Only his wife Marian, daughter Maud, and son George Shenstone survived him. Of his siblings only Elizabeth Ann (1836-1893) and the youngest, Henry Conquer (1852-1934) survived him. It is sad to reflect that few letters with family in England are available today. In a letter to FBS, his sister Matilda said “Give all my best, my sincerest love and kisses all round – not forgetting that great handsome James”. This letter arrived 6 months before FBS was to die and 6 years before James died. We can assume, allowing for the normal pride of an aunt, that James was a big, handsome man. Robert Michael born in Perth on August 29th 1843. He died in Northam on July 30th 1933. Edward Dudley born April 24th 1842. Robert Michael Minson Snr was both a millwright and carpenter, but on arrival in the Colony he took up labouring to support his family. In 1860 he became eligible to serve as a Juror, the qualification for which was having a personal estate of £150. This reflects highly on his work ethic. He died in 1868 aged 72, and his wife Hannah died age 84 in 1883. The Minson family are mentioned in Rica Erickson’s book “Old Toodyay and Newcastle” published by the Toodyay Shire Council in 1974. Chapter 6, The Depression Years 1840s, notes them among those who came to the district. George and his brother Bill (William Hooghly) are mentioned in Chapter 12, Convicts and pensioner Guards, as being among those who signed a petition to protest the de-licensing of the Newcastle (Toodyay) town inns on December 30th 1850. It is understood George went to South Australia about 1860. What an address or date! But still if you were to address a letter to me as above it would not find me, so if you write address it to the Convict Establishment, Fremantle. A great wrangler, I forgot his name, said when invited by another collegian to hold an argument, and who, in the course of his argument, threw a glass of wine in his face, said “That is the digression, now for the argument”. This is my digression so now for the letter. We arrived here on the 1st January last after a splendid passage of 120 days from London. On our way we put in at Balua, in the Brazils for a little repairs; it is a most beautifully situated town on the harbor of St Salvador. The fact that I had no conception of the extent and magnificence of American scenery before, we sailed a day along the coast, near enough to see every creek and inlet as well as the forests with the naked eye. Their extent is truly amazing to look at at first, but I will tell you a little about the extent of the forest I am in by and by. We saw some of the wonders of the deep in the shape three sharks, caught and brought on deck and part of them devoured by the convicts, I was not epicure enough to feed on them, Albatross, Cape Pigeons, Cape Hens, Turtles, etc etc. There were a few bothers with the Convicts, but my experience since leaving London has opened my eyes a little to the ways of man, in fact I should not have credited it if it had not been from experience. I am encamped in a forest with a party of 24 Convicts making a road between the town of York and Perth. The extent of the forest is 18 miles between me and Guildford and 34 miles between this and York – 52 miles in width and some 100 odd miles in length. It is mostly composed of mahogany. The nearest house to the camp is seven miles, a roadside public house. Talk about a lot of witches, gypsies or what they like home, let a cockney come and have a peep at me whilst I am writing. I am in a small bell tent about 10 feet in diameter the furniture of which is 1 cask of Pork, 1 do of Salt Beef. 1 sack of flour, 1 sack of potatoes, 1 barrel containing boots, shirts, flannels etc etc 1 bed, 1 camp table, my own box, for a carpet – the Gravel, at the entrance of the tent is a fire about 3 feet square and 2 feet high – composed of Black boys – how cruel – what a cannibal etc etc some fastidious young ladies would say, burning black boys, but you must not fancy they are real blacks, but a tree, properly the “Grass Tree”, in which the country abounds. If a manufacturer of Bachelor kettles or patent fuel had about 20 tons of them they would fetch him some money -they burn equally as well as the patent fuel you use for your bachelor kettle; outside my tent I have a hut containing about 1200 lbs of flour, 400 lbs of potatoes, sugar, rice and all the (gear) necessary for a lot of men -that is when encamped in the bush. The men are housed in eight huts, made in a most rude manner, each end is the shape of a letter V upside down (sketch of a humpy) – merely some sticks resting on a cross piece and afterwards covered with the rushes of the grass tree, they are allowed 2 blankets and one rug each man and make their beds of the dried rushes -a blanket sewn down the sides for a tick and filled with them – but I can tell you it is a very comfortable one. My men have been out with the dogs (that is two men) and brought in a Cangaroo (sic) it is a doe and weighs about 70 lbs so tomorrow I shall have the delicacy of Cangeroo (sic) tail soup. I never enjoyed better health in my life and do not dislike the service now I hated it while I was at the Head establishment, obliged to be to a minute or else fined and paraded like a soldier, now I am the lord and master what I say is law, there is no senior officer to me nearer than 18 miles and he has us authority over me. The 24 men comprise 2 military prisoners, 3 for murder and the rest are thieves of various grades from house breakers to a pick pocket. But transportation now days is only a (token), a man transported for life , he does 6 years and 6 months imprisonment and gets a ticket-of-leave and at the end of about 11 years from his sentence gets a conditional pardon and is at liberty to go to any part of the world except the United Kingdom. Each man in my party has 21 ounces of flour 14 oz of meat 1 lb of potatoes. ?oz of tea 1½ oz of sugar daily and has in his possession 3 pairs of boots, two linen shirts, 2 flannel ones, 2 blue serge smocks, 2 pairs of trousers, 2 towels, 4 handkerchiefs besides other little things, so you may see the hardship or form some idea of them from this if there are any attached to it, they only work 8 hours each day and I have to judge from the amount of work each does what marks he be entitled to. They have a certain number of marks assigned to each to do before they can get their liberty, so the better they conduct themselves the sooner they obtain it. I heard from Richard a short time since, he said he had intended when his time expired to come here. By the time my three years are expired I hope to have better than £with which I shall go into business for myself. I am getting more pay than I expected to have had in England. £52 a year, 1/- a day temporary allowance, and 1/- a day bush money, besides 1 lb meat, 1lb flour, 1lb potatoes etc etc daily. I shall buy about 40 or 50 acres of land and with the remainder of my money get it cleared and cropped etc. Any man can do well here with a little industry and sobriety combined. I hope to have a trip to England by the time I have been here 9 or 10 years. Some sources give his name as Francis John; however, the St George Cathedral Burial Register name has been used here. Newcastle is 75km north east of Perth. It was renamed Toodyay in 1910. The book Old Toodyay and Newcastle, by Rica Erikson was published by the Toodyay Shire Council, 1974. The name changed to Freemason’s Tavern and Newcastle Hotel in 1863, and later to just Freemason’s Hotel. Statewide Survey of Hotels 1829-1939. Western Australian Historical Society Journal Vol 2 Part 13 pages 22-23. This was probably St Stephen’s where the death of Emma is recorded. The parish secretary advised records no longer exist of church wardens and vestrymen. 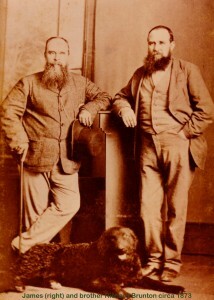 James’ younger brother Thomas Shenstone was a member of the Kojonup Road Board and his youngest sibling, Henry Conquer was a committed churchman and member of the WA Historical Society. The use of the word “annihilate” gives a powerful message of the burden of isolation. This is not included in the Statewide Survey of Hotels 1829-1939, possibly because it was not licensed when the survey was conducted. The West Australian, Monday, July 11, 1892. George Thompson was his brother-in-law having married Mary Ann Flindell. This was probably Joseph Thomas Shaw who married James’ niece Ellen Louisa Watson. This letter was dated Monday September 14th 1886, and written from 21 Hunter Street, Brunswick, London. It is said he was born off the Cape of Good Hope.